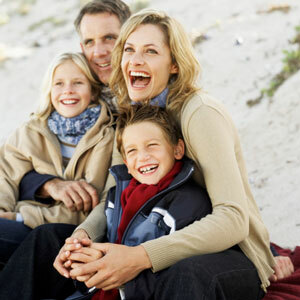 At Trillium Chiropractic, our practice has a family feel to it that puts all ages at ease. You’ll feel right at home and ready to start your healing from the moment you enter! Our simple paperwork can be found on our website and brought in completed to your appointment. Then, Dr. Scott can immediately get started on providing a thorough consultation and examination. We’ll determine which areas of your body may need help and how any problems are affecting your spine. X-rays can be taken on-site if needed. Next, Dr. Scott will take some time to review your case. You’ll schedule a time for a follow-up visit and be done in 15-30 minutes. On your next appointment, Dr. Scott will review his findings from your previous visit with us. You’ll gain an understanding of what may not be working optimally in your body, as well as how we plan to help you. This appointment takes approximately 15-30 minutes. Subsequent visits are brief, taking just 5-10 minutes. Like anything else in life, you’ll only receive the benefits of chiropractic care as long as you continue getting checked. Want to live your healthiest life? Exercising, eating right, managing stress and regular chiropractic visits are all healthy choices that go a long way toward helping you stay well. Are you wondering what we might be able to do for you? Contact us today and book a time for a free consultation to find out!